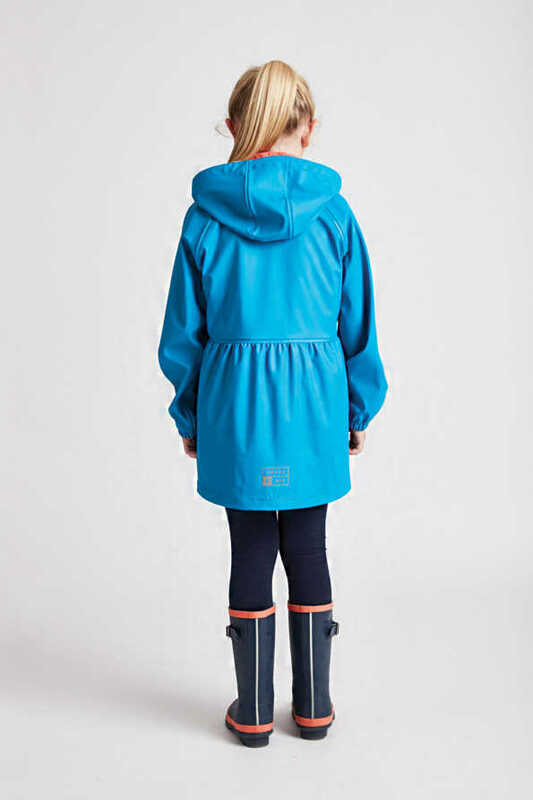 Available in our ‘Little’ girls range or in navy. 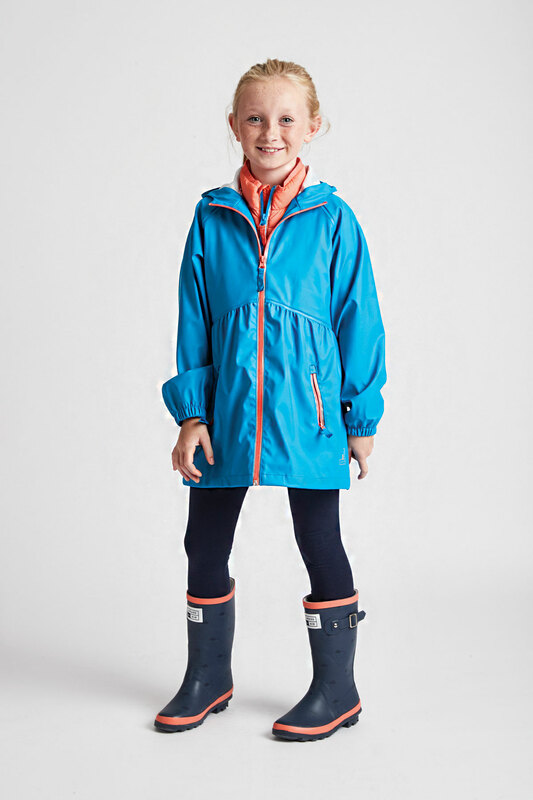 Our girls turquoise Rainster is cut above the rest, with the combination of durability, practicality and style. 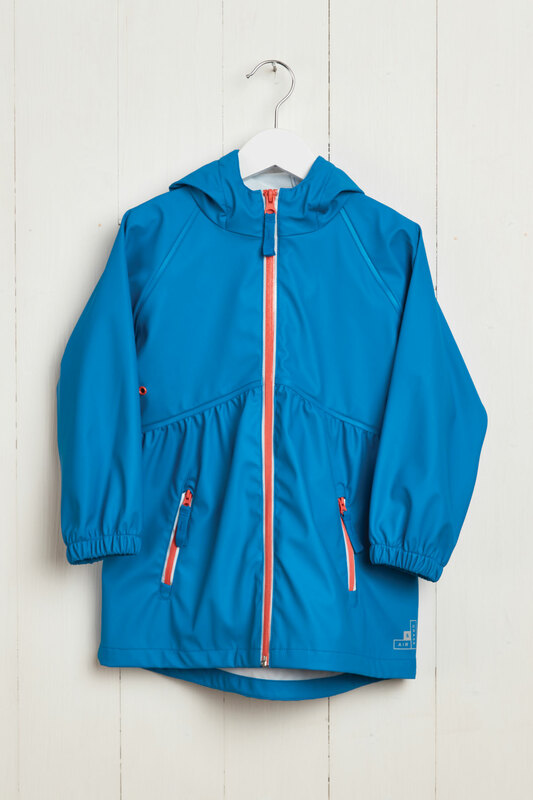 Our Raincoats are trend-led, with a Scandi inspired design. 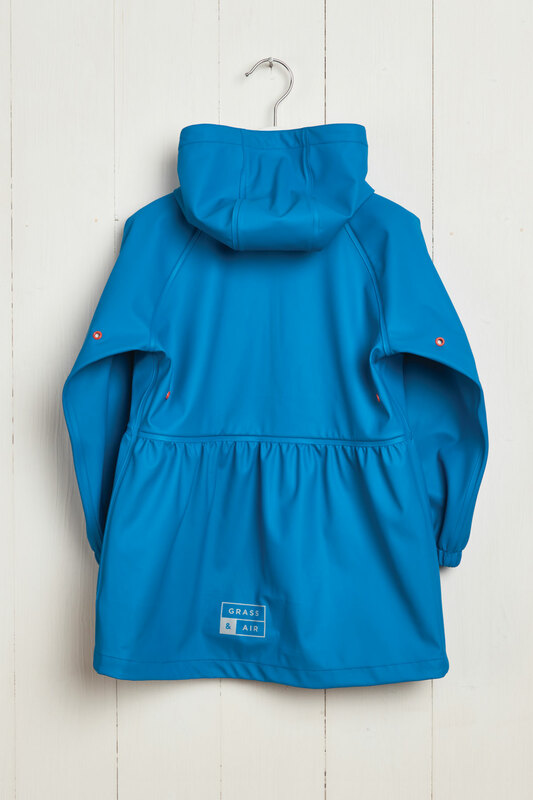 The classic shapes of our older girls turquoise rain mac, with an added feminine gathered waistline, will be a favourite for years to come. 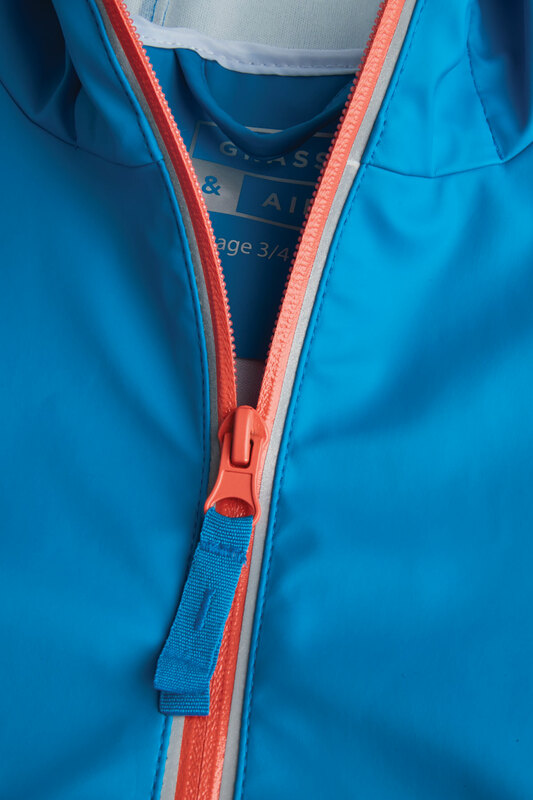 For kids who love vibrant colours, the bright turquoise colour is an all-year-round hit. 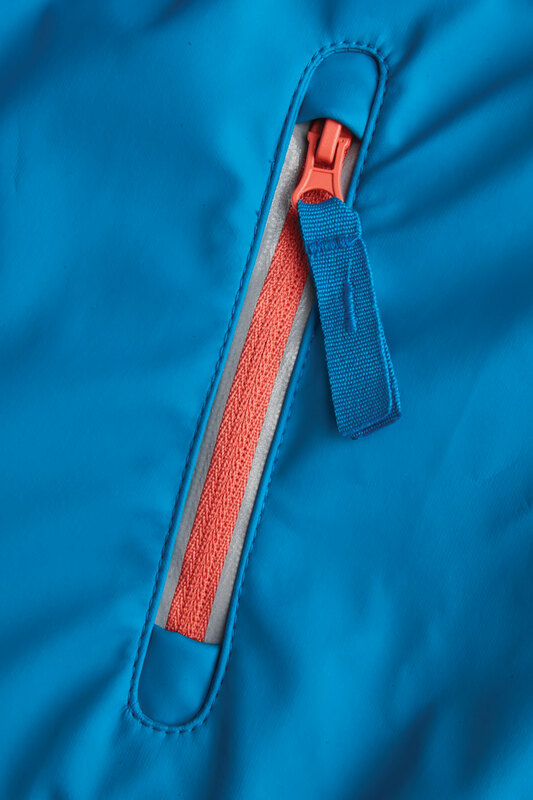 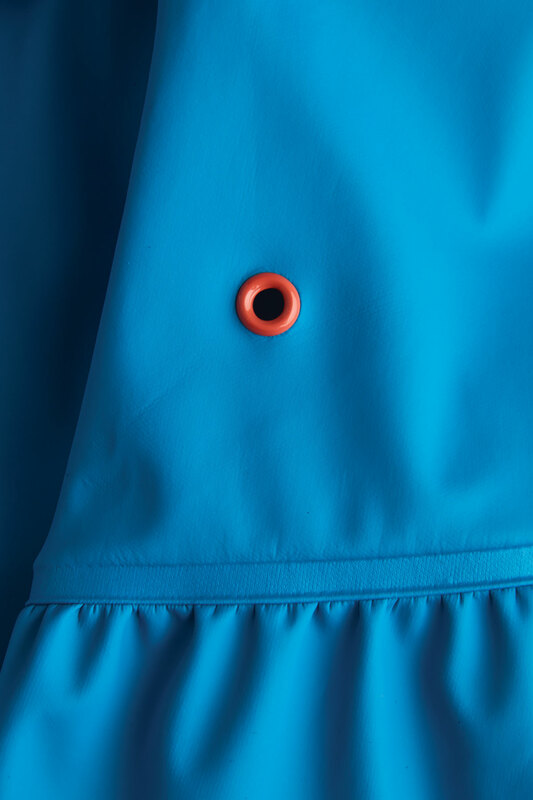 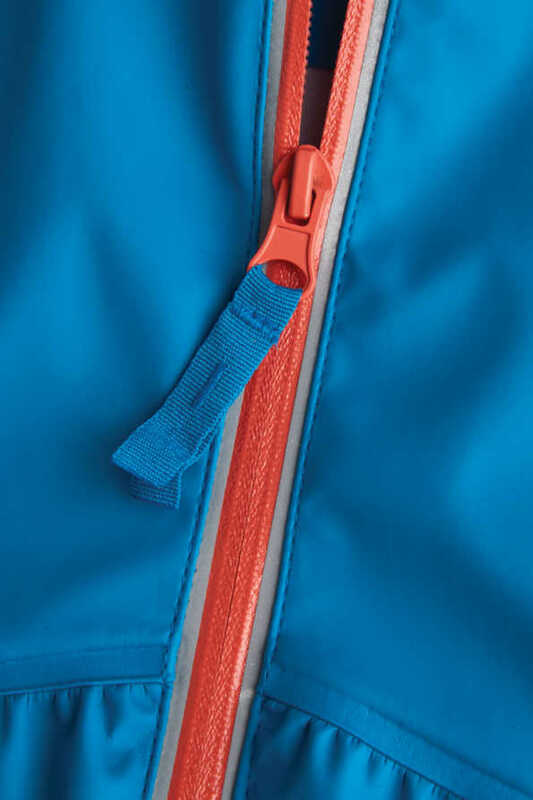 Especially when teamed with contrasting accents of coral on the seams and zip. 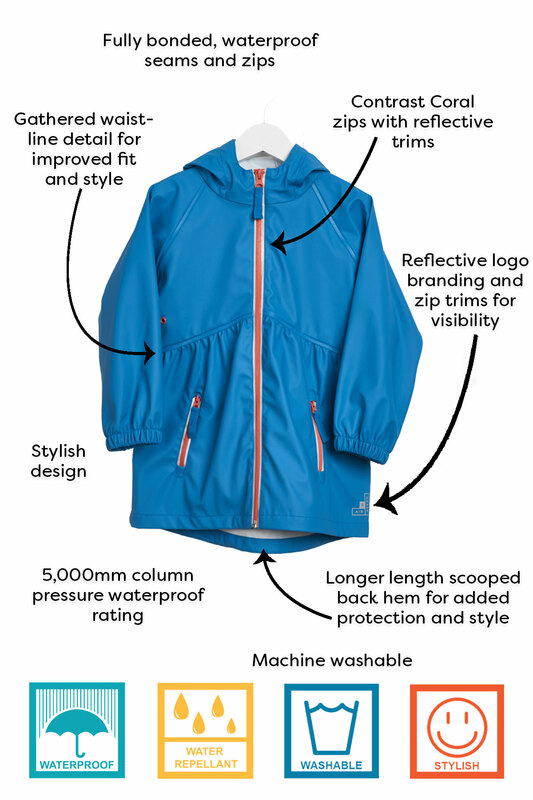 Our popular raincoat 100% waterproof, and features reflective detailing. So kids can marvel as they glow when light hits them and helps them to be seen.